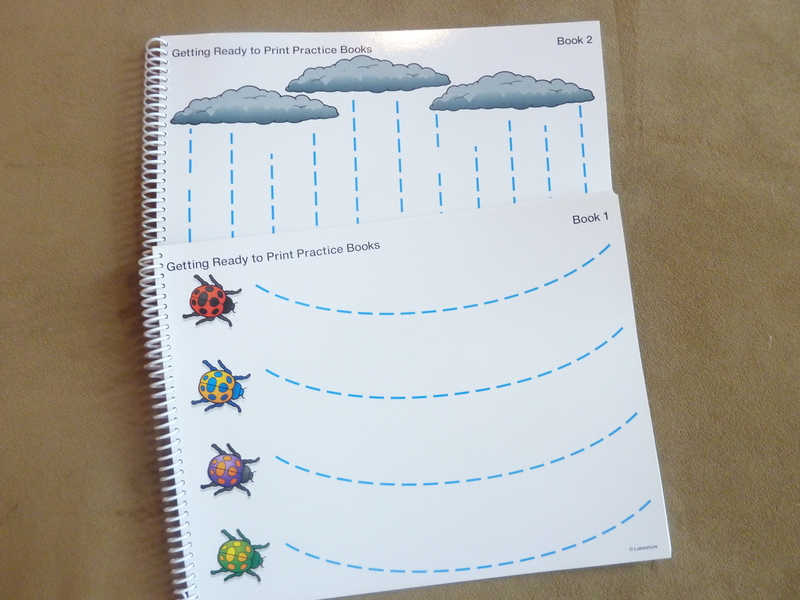 My Obstacle Course Station Activity: "Write and Wipe" Book - Practicing Uppercase "C"
Dry erase books to build skills necessary for handwriting, such as making curved, vertical and horizontal lines. A sample page to work on drawing diagonal lines (necessary for letters like k, v, w, x, y and z). 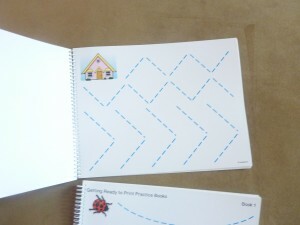 This series of books guides them through the basic skills necessary before introducing the letters and numbers. They are the perfect bridge between tools like Aqua-Doodles, MagnaDoodles and paper/pencil. This sort of activity is also great for children who have a hard time pushing or using pressure when writing with a pencil. The marker allows them to work on letter and number formation without requiring a great deal of pressure (that is important as well but is a totally separate thing) like a pencil or pen does. 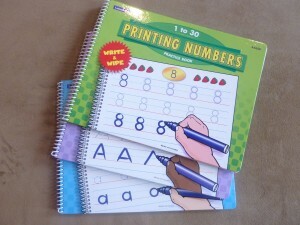 "Write and Wipe" books for numbers, lowercase and uppercase letters. There’s Just Something About Dry Erase Markers! These books give children structure for these skills in a way that is not as intimidating since it wipes right off. This is a big deal for some children who are reluctant to write or draw because they realize that what they are putting down is not necessarily the way they want it to look. For a long time Andrew wouldn’t even try to draw or write, always asking me to do it or help him (which usually turned into me doing it anyway!) so it would be “right” in his eyes the first time. If I did convince him to just try, he would purposely draw it really big or make a scribble as if to say, “See?!? I told you I couldn’t do it! This sort of tool helps a great deal with that and made a huge difference for him when he saw he could just wipe a mark away with a tissue or paper towel. Made it into something that wasn’t a big deal to fix. Love that!! This type of activity is also something you could set up and do on your own without the book by using a sheet of paper with a sheet protector over the top. 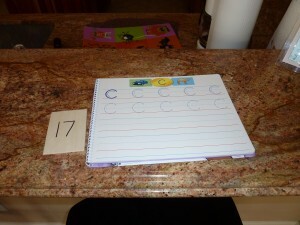 All you have to do is either draw or write the lines, letters or numbers that your child is ready for onto a sheet of white computer paper, slide the paper into a sheet protector and your child can use a dry erase marker and trace over. Wipe clean when you are finished and change out the paper to work on a something different! Many times I will look at books that are in stores to get ideas for how to build skills and tweak them so they are more interactive or kid-friendly (or in our case “Andrew friendly” 🙂 ). When including these as My Obstacle Course stations, I would choose one page or part of a page at a time, depending on what they are able to do. Note: I have no connection to Lakeshore Learning, I am just sharing what I have found that has worked for us.